I know it sounds like a sad thing to watch but its inspiring to see how anything and anyone can be changed. BTW the filming and editing of the storylines is pretty special as well....so be sure to keep an eye out for Irene Taylor Brodsky's other work as well. Makes you wonder about what it is you are "consuming" today and what you need versus don't need in order to be healthy and survive as a human being.......should we all be eating soylent green after all? The bigger question is if these codes are indirect to servers that the end owner doesn't control....what happens when the servers get turned off? and how long does the $150 payment guarantee connectivity for? Bravo is accused of kidnapping and strangling his friend Christian Aguilar in September 2012 after an argument. Aguilar disappeared on Sept. 20, and Bravo was charged with murder eight days later. The trial for the case began last week. "Records also show Bravo also used his iPhone's flashlight nine times the day Aguilar disappeared"
How, why, who provided the prosecution with this information and why is my cellphone even keeping a record of this??? Seriously, get the F out of my life and stop collecting data.....otherwise I might need a "swamp". 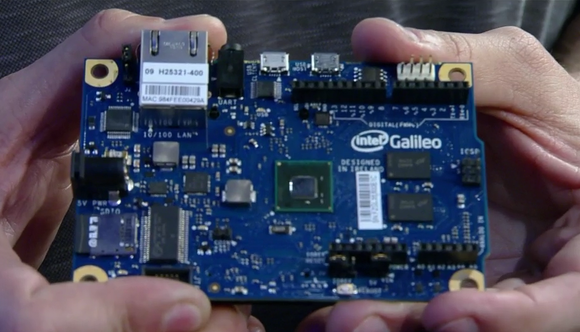 I was reading about the Wintel enabled Galileo boards today....I wonder if you can run regular X86 apps on these? ...and if so whats to stop a monitor manufacturer using these to "windows enable" monitors that are sufficient for browsing/email/minimal task desktop monitors. it makes you question what needs to be "on the device" and what can be stored "in the cloud" on an Azure instance. Its an interesting time in tech....can Amazon survive and deliver the fabled profits it seeks (needs?) to justify the myth. Or has it gotten to a stage where it is just impossible to feed the beast.